Gauchos having mate at Hope Place - Saladero, East Falkland. Mate was a well known herbal infusion and beverage in South America. 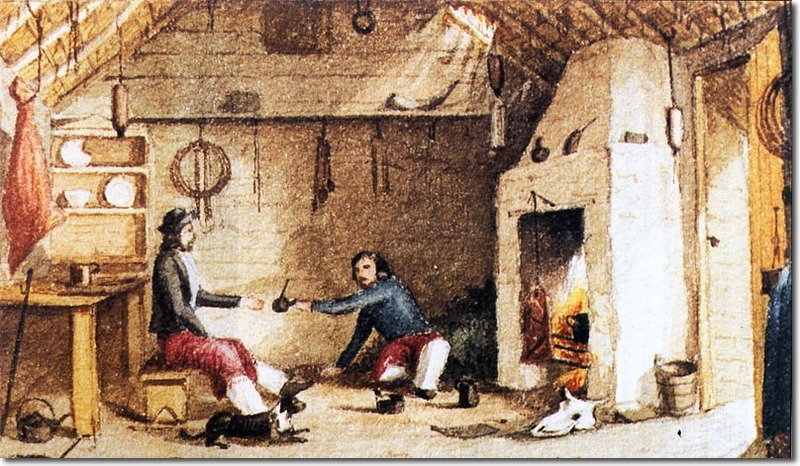 Here it can be seen being shared between two Falkland Islanders in this 1850 painting. The painting also shows the rustic simplicity of the early settlers to the island. This Watercolour was by William Pownell Dale who was the son of John Pownell Dale manager of Hope Place in the 1850s.